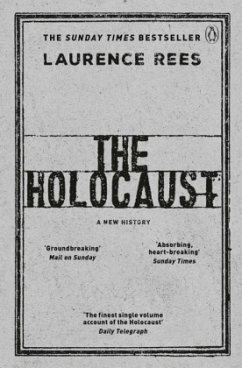 Laurence Rees is the author of the award-winning Auschwitz (213K TCM) - the world's bestselling book on the history of the camp. A former Head of BBC TV History programmes, he has written six books on the Nazis and WW2, as well as writing and producing the accompanying documentary TV series. His work includes the TV series and books The Nazis: A Warning from History, Auschwitz: The Nazis and the 'Final Solution', World War II: Behind Closed Doors and The Dark Charisma of Adolf Hitler. Laurence Rees holds honorary doctorates from the University of Sheffield and the Open University. His many awards include a British Book Award, a BAFTA, a George Foster Peabody award, a Broadcasting Press Guild award, a Grierson award, a Broadcast award, two International Documentary awards and two Emmys.